We all support favorite causes – whether it’s with our time as a volunteer, out talents with specific projects, or our financial resources. In addition to simply making our communities nicer places to live and providing for the less fortunate, we hope to set an example for our children and grandchildren, teaching them the value of philanthropy and leaving a legacy of community support. The Community Foundation of Southern Indiana makes it easy to accomplish those goals.  If you’re looking for a creative and simple way to give to your favorite organizations during your lifetime and perhaps beyond, creating a fund with the Community Foundation is a great way to do that. We provide the expertise and flexibility to help you donate money, securities, personal property, or other assets and create a customized charitable fund that will make your giving easier now, and can also last long beyond your lifetime with maximum tax benefits. Offer flexible and creative solutions. CFSI accepts a range of gifts and offers multiple ways to give. We do the work. You enjoy the giving.